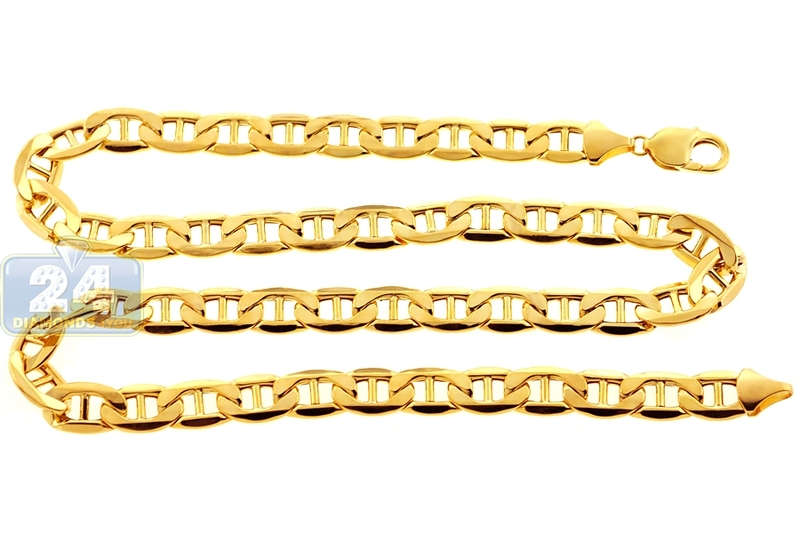 Just imagine all the style options for our wide mariner link chain! 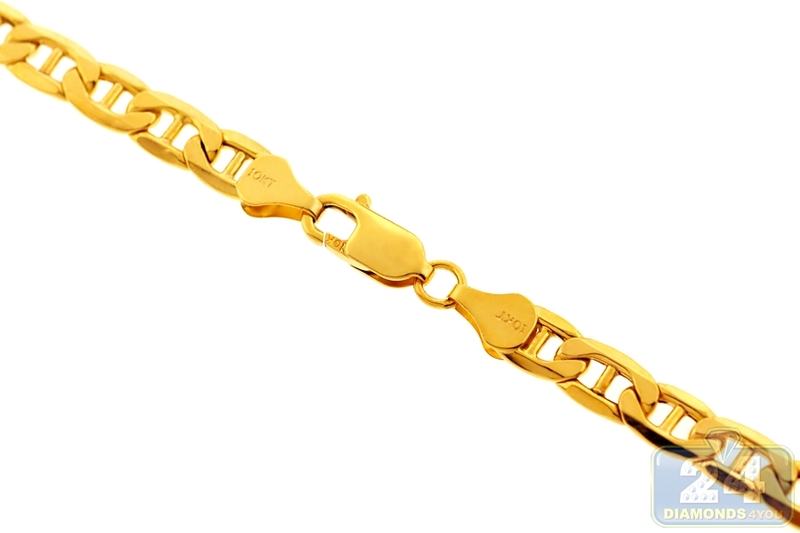 Professionally crafted in Italian 10k yellow gold, it features ultra smooth finish for sparkling touch. 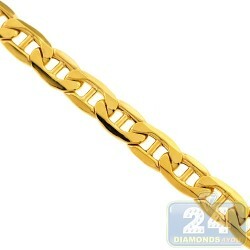 The yellow gold necklace measures 10.5 mm in width, and is available in 24, 26, 28, 30 or 32 inches in length. 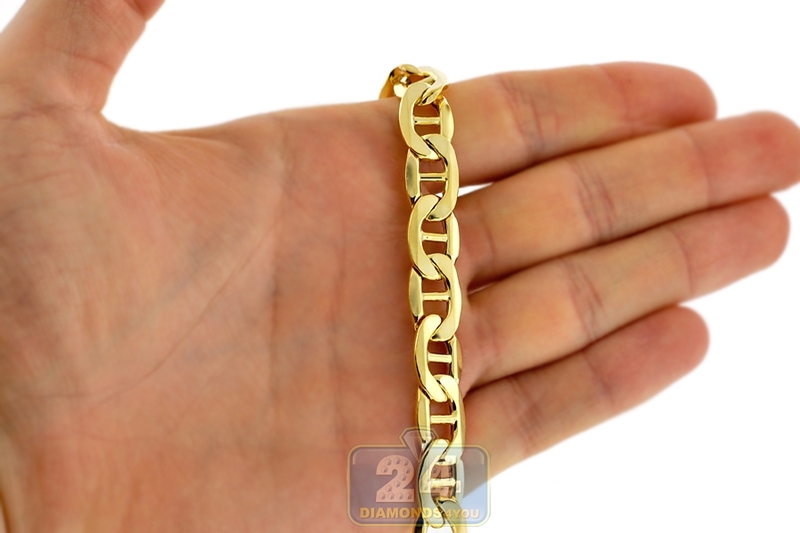 It is also secured by the safest and user-friendly lobster claw clasp. Celebrate your sophisticated taste wearing this luxurious men's gold chain!